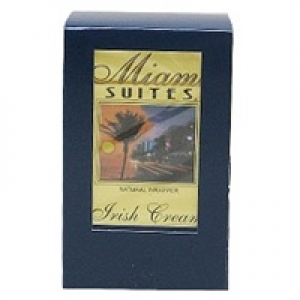 The Miami Suites Irish Cream Pack is a best-seller nationwide due to its rich rum flavors mixed with the finest tobacco fillers, binders, and wrappers. Available for an appealingly low price, it's no wonder that Miami Suites flavored cigars are one of the most popular cigar brands out there, both for newcomers and experienced cigar smokers. Only Miami Suites can satisfy your need for quality tobacco and fine construction, as well as your desire for an enjoyable smoke at a cost-effective price.